Register for the FREE Puppy Chow® Healthy Start Program® to receive monthly advice customized to your puppy’s age, fun pictures and videos of puppies like yours, emails packed with tips and articles! Sign up below on December 11/2011 (only) for your chance to win a 15 pack of Silly Bandz! 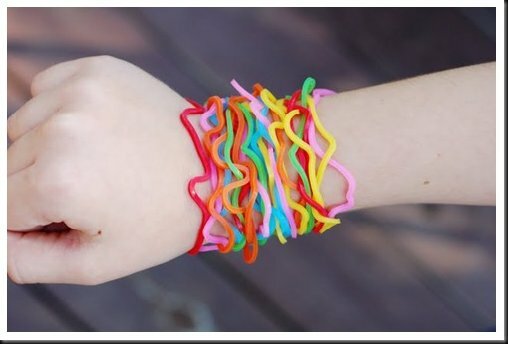 Kids everywhere are going wild over Silly Bandz!! These colorful Animal Rubber Bands are made of silicone and die molded in many different fun shapes. These rubber bands return to their original shape when you take them off the item they're holding (or off of your wrist). When you post your comment entry, include a valid e-mail address where I can contact you if you win: (write it out like this: email (at) hotmail (dot) com - so the spammers won't get you). You can only win one time within 30 days. This giveaway ends tonight - on December 11, 2011 at midnight ET. Winners will be chosen using Random.org. I will e-mail the winner for their mailing address, and results are always posted here and on our Facebook fan page as well. If the winner doesn't respond within four business days, a new winner will be drawn. This giveaway is now closed, thanks for playing! We had 21 entries and the winner is Rugby35! Congratulations! Shizbiz96@hotmail.com I love silly bands for myself! Lol! Wow, my daughter has been BEGGING for Silly Bandz! I can be reached through Twitter @SnyMed. I already follow you, so you would be able to DM me. uhm? i posted, made me sign up but then it says it has to be approved? is this normal? did it work? be a nice prize for my daughter! !